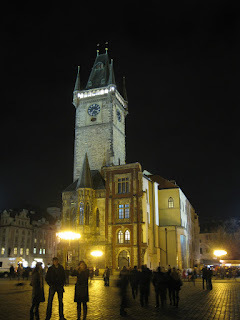 The Adventures of Terka & Jeffko: Prague Re-revisited & Update to Last Week's Political Post. 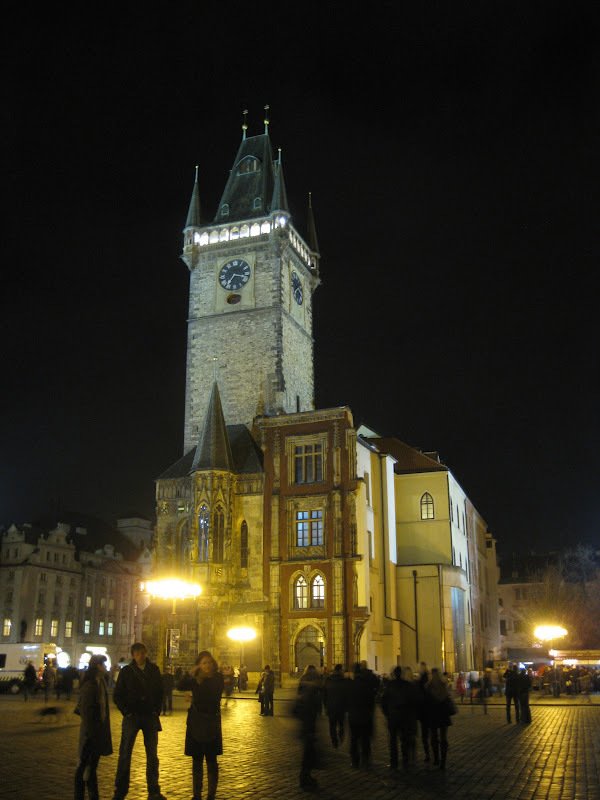 Prague Re-revisited & Update to Last Week's Political Post. Just got back from another short trip to Prague. The soggy weather subsided for the two full days that we were there, so lots of tromping around the city. We got to meet with some of Terezia's friends (Zdenka and Martina), which made us realize we need to spend a lot more time in Prague, and we explored more of the Vinohrady and Nove Mesto areas. Sadly, I learned that Prague's record stores aren't very good (at least the four that we checked out). We tried one of Prague's vegetarian restaurants, Lehka Hlava, at which we feasted on a wonderful salad of mixed-greens with warm goat cheese, walnuts, and cranberry sauce, tasty and crispy spinach quesadillas, and bland-as-hell vegetable red curry (does anyone know how to make a decent curry in Central Europe? Besides Terezia?). On our last night, we ate some amazing duck at U Parliamentu. We also visited the Museum of Communism, parts of which were like a flashback for Terezia. Click here to see photos from this weekend. (I tried to include as many shots as possible of things not photographed during the January trip). And to update last week's Slovak elections post for this blog's 1.33 American readers, Fico's Smer won by a landslide, winning 83 seats in the 150-seat parliament, and more people voted in this election than had been expected. Needless to say, many people will be unhappy now that Fico's back in power. However, the good news is that corrosive nationalist parties, Jan Slota's Slovak National Party and Vladimír Mečiar's Movement for a Democratic Slovakia, did not win enough votes (5% minimum) to make it into Parliament. Hopefully this means that Fico will tone down the divisive nationalist/xenophobic rhetoric and focus on other things.